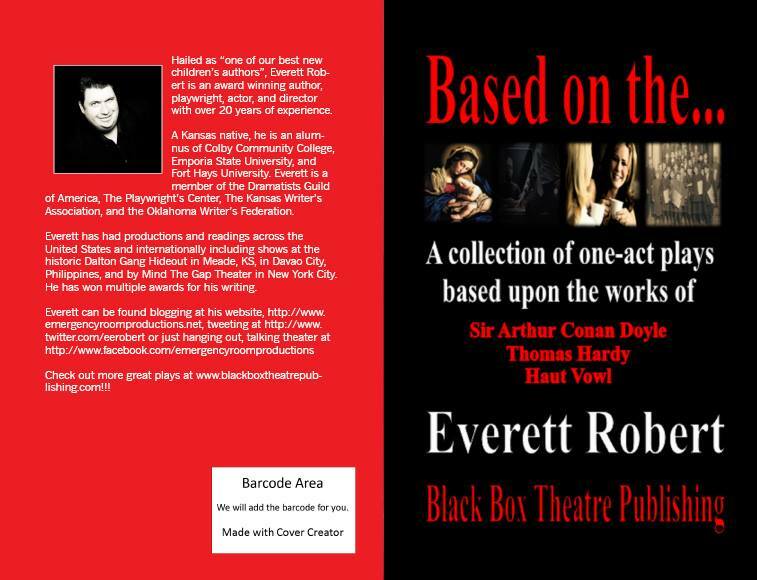 Well, I don’t really have a sponsor per se, but I am proud to announce OFFICALLY (although if you listened to my interview on Chatting With Sherri, I mentioned it) that a collection of my short plays (10 minutes or less) will be published by Black Box Theater Publishing Company. These plays (THE REUNION, BLINK, THE MYSTERIOUS CASE OF LOT 249, & MIRIAM AND ISA) are all monodrams (for one actor) or duets (for two actors) and are adaptations. These plays were designed for and are perfect for young actors, particularly those in competitive speech and drama. Now, for the cover reveal!